Gaza terrorists hit Ashdod with more rockets than ever. Residents describe life under near-constant attack. Over the past three days, Gaza terrorists have launched over 150 attacks on southern Israel. The city of Ashdod has been targeted more often than it was even at the height of the Cast Lead campaign, residents say. As the situation in southern Israel escalated and dozens of rockets were fired from Gaza, Arutz Sheva visited the city of Ashdod, one of many cities in the area hit by a barrage of rockets. The citizens expressed their frustration at the ongoing situation and called on the government to do more for them. “It’s been a very difficult week,” said Ronen Fahima, the of a sushi bar in Ashdod. The bar, which is usually busy, has been nearly empty during the escalation. Ephraim Weber, a member of the Ashdod City Council, said that the rocket attacks caught him in the middle of his family’s Shabbat dinner on Friday night. Aryeh Itach, head of the Emergency and Security Division in Ashdod, said that Ashdod’s citizens are strong and are, unfortunately, well-prepared and trained to deal with rocket attacks. 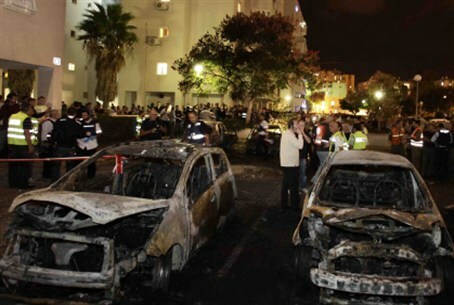 Ashdod resident Raz Shmueli told Arutz Sheva that this round of attacks is different from what came before for two reasons. “On the one hand, the frequency of attacks has tripled. On the other hand, the Iron Dome system response has been perfect. As of now, there have been no casualties in Ashdod, not even property damage,” she said. “What remains is the hysteria. The so very familiar hysteria of running like crazy to bomb shelters, of terrified children… But nature is doing its work; the protection provided by the Iron Dome alongside the frequency of the siren has provided a slight dose of apathy,” Shmueli added. Some neighbors have stopped running to their reinforced rooms altogether, she noted, and instead stand at the window watching the Iron Dome shoot missiles down. Shmueli expressed concern that residents could become too complacent. “That must not happen, it would even be dangerous… Binyamin Netanyahu, be aware,” she said.